On Thursday, 30 June His Holiness Sakya Trizin completed the Lamdre teachings, which were held at Tsechen Kunchab Ling in Walden, New York. 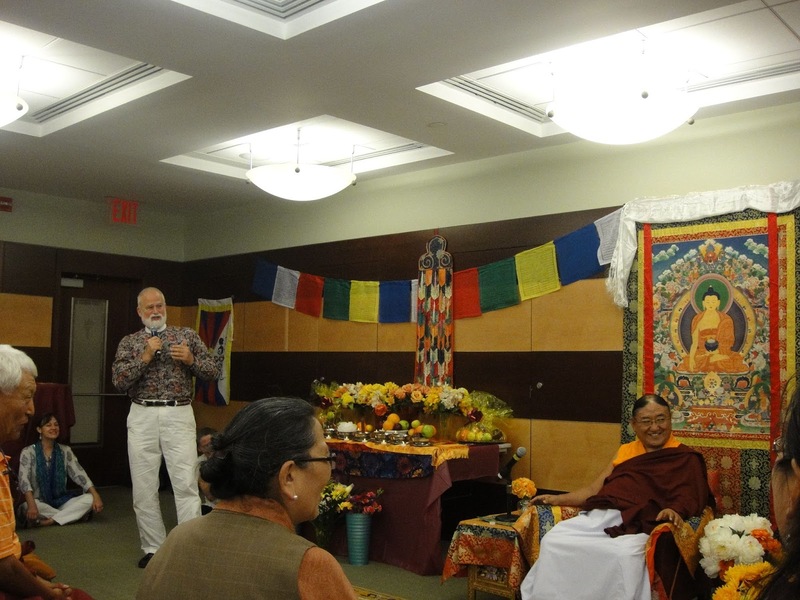 His Holiness then spent the weekend in Manhattan where he was hosted by Khenpo Lama Pema Wangdak, director of the Vikramasila Foundation. 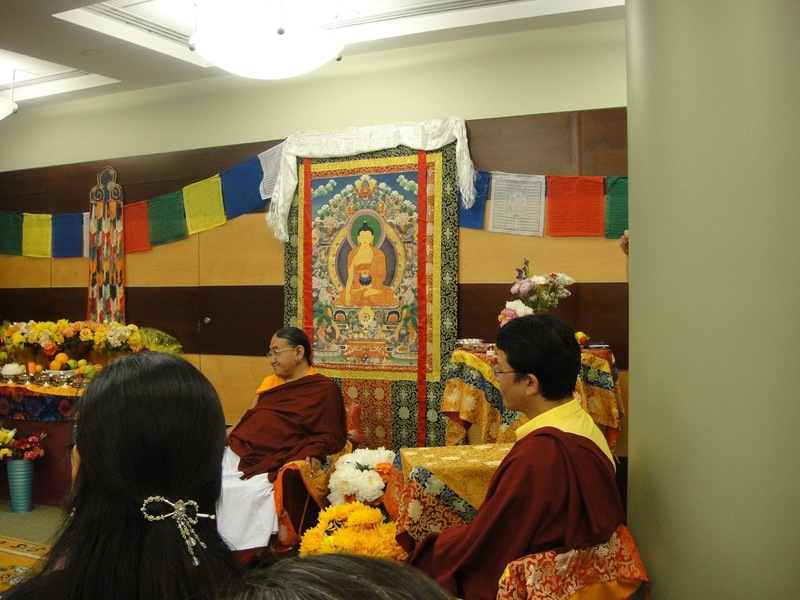 On the Friday evening His Holiness was the keynote speaker at a conference on Tibetan Medicine. On the Saturday and Sunday he bestowed the two day Initiation of White Tara. The visit concluded on Monday, 4 July with a celebration for His Holiness' Golden Jubilee and also for the birthday of His son, H. E. Gyana Vajra Rinpoche. His Holiness, accompanied by His wife, Gyalyum Kushog-la, and H. E. Gyana Vajra Rinpoche, is continuing with His American tour and will be hosted by Lama Jampa Thaye and Sakya Dolma Ling in Mexico from 15 to 18 July. His Holiness' elder son, H. E. Ratna Vajra Rinpoche flew back to Europe on 30 June to continue his teaching tour there while his wife, Dagmo Kushog-la, and children, Jetsunma and Akasha Rinpoche, returned to India on 5 July.